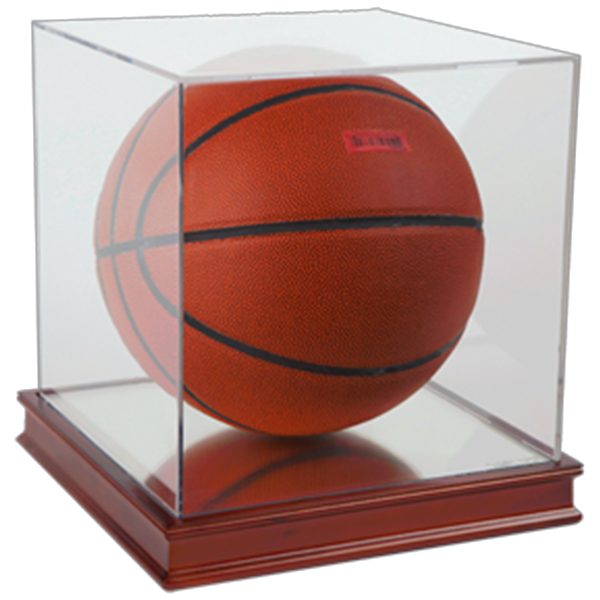 – and a handsome wood base basketball display case. 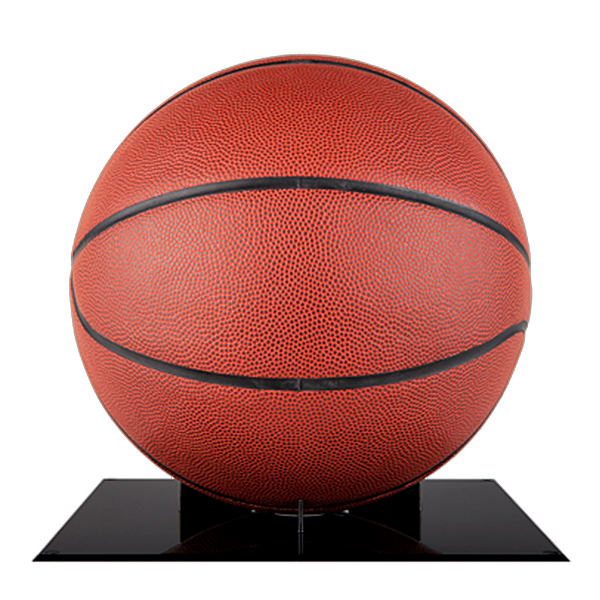 We also offer our basic, open air display for basketballs named The Stand. 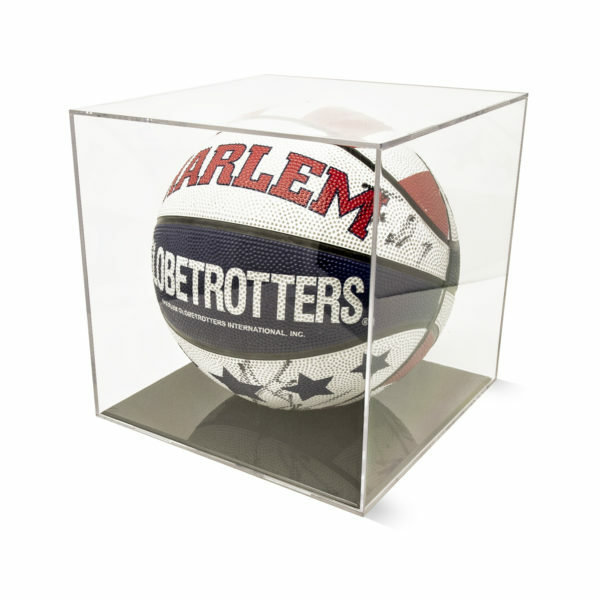 A mini basketball displays especially well on The Stand. Soccer Ball Display and Volleyball Display. 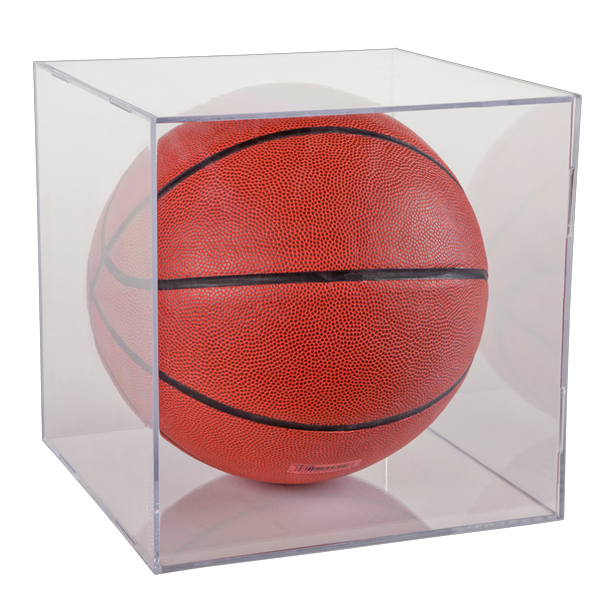 And, yes, all our basketball cases work perfectly to display a soccer ball or a volleyball. So, let’s call it a triple-double. 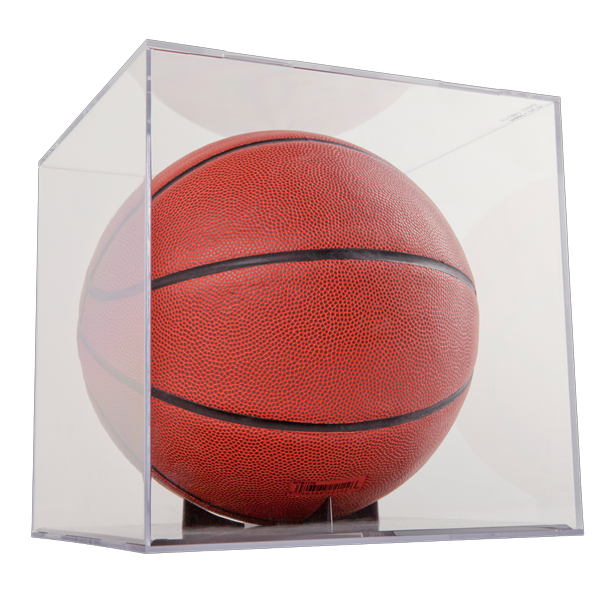 Choose our UV protected Grandstand Basketball Display cases in black or clear color ways to protect and display your autographed, limited edition and logo basketballs from 98% of UV rays. Circle in the Square Symmetry. Durable. Stackable. 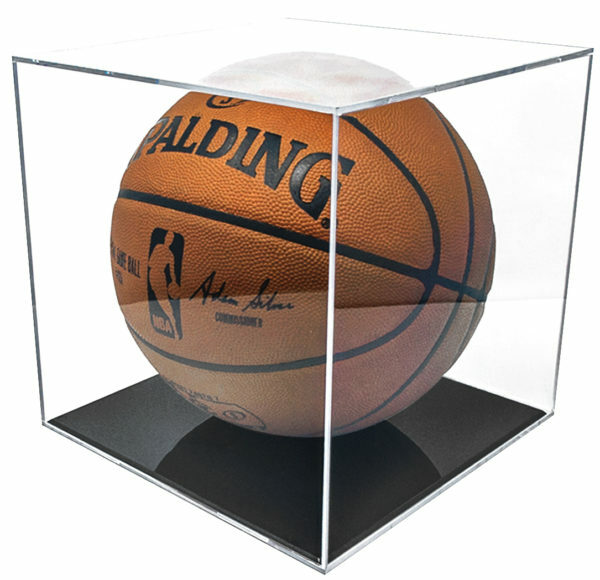 Many years ago, our founders noticed that a ball’s spherical shape looks most beautiful within a cube. Soon after, this idea led to BallQube’s patented two-piece cube shaped case. 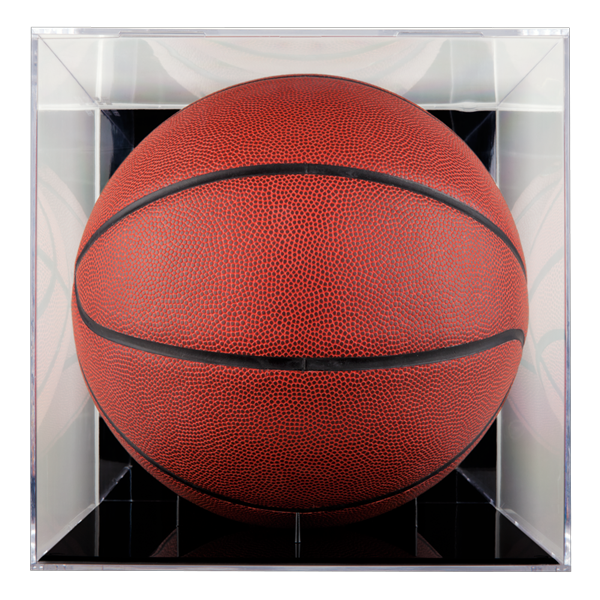 Unfortunately, many other basketball cases on the market have uneven sides. This distorts the beauty of the classic circle within the square. And, they can’t be stacked. So, they take up enormous amounts of space. Importantly, our cases are durable. So, they will remain crystal clear for years to come.